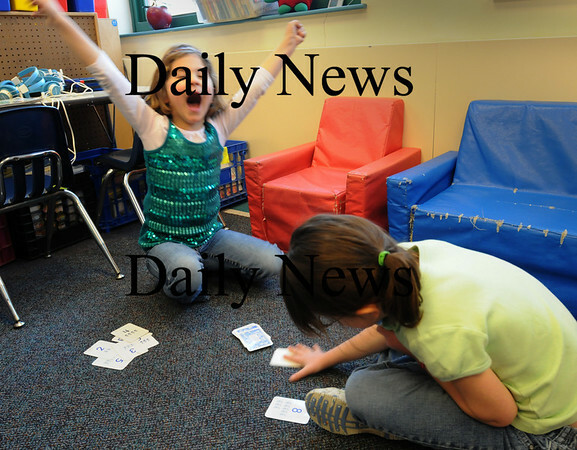 Kate Taylor celebrates as she beats Dani White, both 6, in a hand of Compare in Nancy Mackinney's class at Newbury Elementary School on Thursday. The game, which helps with math skills, is like the card game War. In this case whoever gets the lowest numbered card in a hand wins that hand, and whoever ends up with the most cards wins.